The word Reiki is made of two Japanese words - Rei which means "God's Wisdom or Higher Power" and Ki which is "life force energy". Reiki is actually "spiritually guided life force energy" that can be channeled through a simple process of intention and hands on healing. Once initiated, Reiki energy governs itself to go where it is needed in the mind/body system. Anyone can receive Reiki treatments and anyone can become activated to channel Reiki, through a series of attunements and initiations. 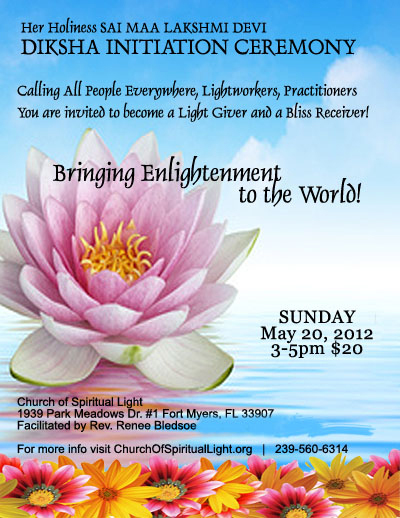 Reiki is a powerful natural practice that unlocks and releases the flow of chi within both the receiver and the giver. One of the most powerful ways that Reiki restores well-being is that is helps calm the central nervous system, which re-established the mind-body-spirit connection that is so critical to health. Once the nervous system is truly relaxed and calm, the body's own inner physician can begin to do its work in healing and energizing the body. As tension is released in a gentle and controlled way, the effects of stress may be prevented from manifesting in the body. It is also a wonderful technique to control anxiety as it gently calms the mind and emotions. It can synchronize and energize acupressure meridians while gently balancing and aligning the energy systems of the body. Quite simply, Reiki is a way to connect with an infinite supply of intelligent, vital life force energy which can be a catalyst for healing and empowerment of self and others. Many people feel as though they already have the power to channel healing or spiritual energy. And while this is true, once a person becomes "committed" and "matured" in their desire to actively use energy healing as a way of life, the natural progression, as with all things of great importance to humans, is to be witnessed and formally initiated by another human, who holds the same power. The handing down, from one human to another, of knowledge and signs is an important part of many spiritual activations. Reiki is no different. Usui ReikiMaster/Teacher, Rev. Renee Bledsoe is dedicated to bringing energy medicine practices, such as Reiki into the mainstream as an accepted modality in complimentary and integrated medicine care. It is her passion to help others learn about and become empowered to work with energy medicine, by inspiring them to feel comfortable and safe as they explore the mysterious world of energy and spiritual forces. 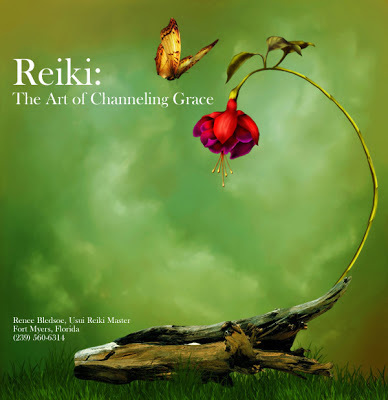 By teaching Reiki in a practical and hands-on way, as well as combining it with other modalities, the new practictioner can become quite adept in a short period of time to be and remain confident to do energy work. 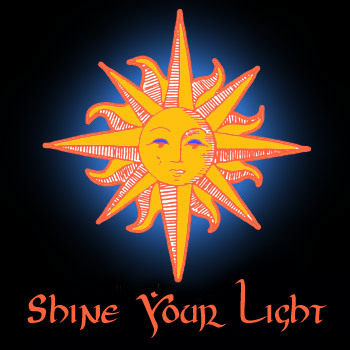 Reiki students also have a great deal of ongoing support through the Church of Spiritual Light and the programming offered through the People Shine Project, to assist in their journey of personal growth and spiritual development. 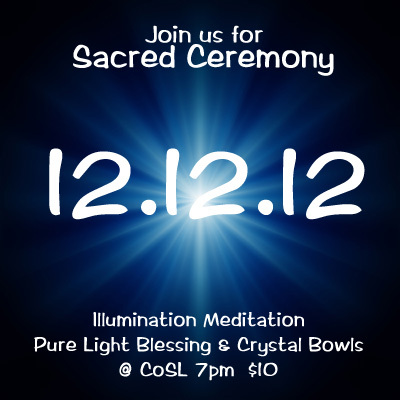 Join us for our special gathering to honor the new energies of 12.12.12.that are building all around us. These are important times and there's no better way to get centered than through meditation, diksha blessings and crystals bowls! We normally have the Illumination Meditation and Pure Light Blessing every Wednesday, but on 12.12.12 we're going to be expanding our evening just a bit to include a some sacred altar work and crystal bowls. (We will be seated for the crystal bowls, but please dress comfortably). 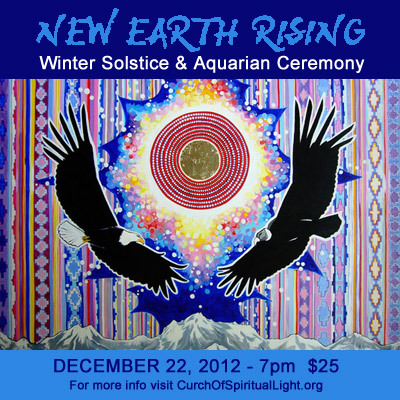 Join us for this sacred, celebratory ceremony and ritual to honor the Winter Solstice and welcome in the New Earth and the beginning of the new Aquarian Age. 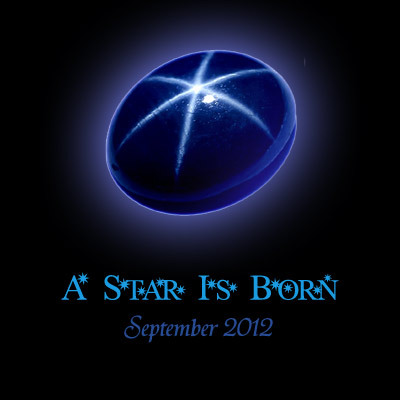 We will be opening and anchoring the great potential for power that is being born at this time. As the New Earth Energies are Rising up in our lives we are inspired and enlightened to newer, deeper, higher levels of love, compassion, grace, creativity, abundance, peace and joy. Please dress in accordance with an attitude of respect and devotion and prepare your body and mind for a Light Activation of New Earth energies. You will be handed down an Atlantean ritual to support your journey in 2013. As we re-attune our energies to the waters of the soul in the Age of Aquarius (the Waterbearer), we recall the ancients and their wisdom back into our life. There will be light, healthy refreshment and eatables. We have the great priviledge of being alive during the shifting of an age. Many of us remember hearing a very popular song from the 60's - it's refrain now passing out of the realm of art and entertainment into true life - for what we surely are witnessing is the Dawning of the Age of Aquarius, and its promise of peace and plenty. Aquarius is the water bearer and is symbol is represented by a man pouring water out of a jug. Yet, Aquarius is an air element. It could be said that we are now entering a time, where our heads and our hearts will finally find greater connection and fuller expression. In a sense, this sign of the times is literally informing us that our enlightenment and our mental power is not complete without the magic of our heart and soul. We are looking at not just a shift in an astrological age, but truly a shift in consciousness. We have already been witnessing this shift. There has been an awakening of souls, some through spiritual emergency and crisis, and some through pure grace. However it comes, it is coming for anyone who can let go and get into the flow. Gary Zukav in his book, Seat of the Soul, reminds us that new multi-sensory aspects of the human condition are coming online for everyone. And it is what we choose to do with those upgrades to our ability to communicate with each other, with nature and with the Universe itself and the powers that be, that will tell the tale of our ability to create a golden age. Never before in the history of the planet has so very much of the world been able to directly communicate in the physical. This has changed everything and made things possible that would not have been possible. This rapid communication has actually affected time and has been and will continue to change the way we work with time. This has the potential to affect us in ways that we may not yet be able to comprehend. As the Mayans have been teaching us, time is to be respected and consciously worked with, including seasonal energies, cosmic and astrological forces, as well as our personal relationship with time and implications of an advanced means of relating to time. The earth is changing and so are we. 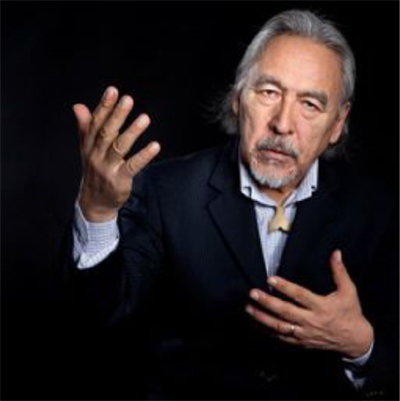 As more and more people become conscious of the power of intent and actively communicating with the earth, the planets, nature, animals, guides and guardians, and of course each other, we must hold the space for the wisdom of the ages, the insights and the teachings that have rolled forward through humanity and the human condition to nourish and advance us. This is our soul's emergence on the planet and in the flesh. There is still much to be done, and it is all a labor of love. For never before has there been so much hope for healing, enlightenment, joy, peace, abundance and love for so many. Even the possibility of the dawning of a new age has begun to have an impact on the way that many of us now see the world. For we are seeing with clearer vision, higher hopes and open hearts. And so it is being re-membered how to walk the sacred way, the beauty way as we feel it in our bones, this New Earth Rising. I am envisioning a new earth. The new earth is filled with love, creativity and joy. I face my fears and release the path of suffering. I embrace the gift of life. My joy is the joy of the world. My peace brings peace to the world. I honor and acknowledge my ancestors. I understand the role my ancestors have played in my life and this creation. I tap into the deep magic of creation. I recognize my powers of manifestion. I refine my connection to Spirit and to my own soul. Through my heart connections I create my life in love. I am filled with inspiration, creativity and solutions. I see myself at the center of the universe. When I find my medicine, my power, I am centered in my heart. The new earth energies are supporting our journey to bring heaven to earth. I re-enter the garden of earthly delights with the full understanding that this manifestation is so that I can express and experience true love. I make choices based in love. I see all people, places and things through the eyes of love. 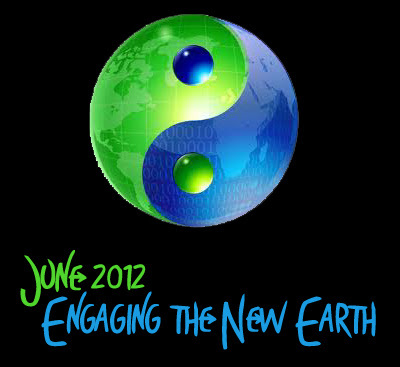 I take part in actively creating the New Earth. The time of the soul's renewal and restoration is upon us. The world is moving in such a way as to perfectly align with the timing of this re-birthing of our higher, deeper selves. We now have and actually have had, the support of the cosmos for the soul and consequently the spiritual emergence of our true being. We are rapidly becoming. And like all overnight successes, these changes within us have been hard won and a long time coming! But what does the new earth look like? How will we be different? What will change? 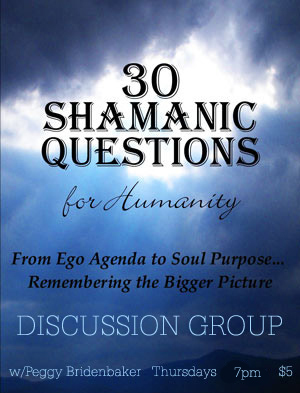 The asking of questions is perhaps one of the most prominent hallmarks of the new age. The asking of a question is both masculine and feminine - perfectly balance if asked correctly and with true openness and humility. Once you start asking questions, you have truly begun to engage in the creation of your life through the power of your freed will. Honest inquiry is the first step to wholeness, with it's infusion of innocence and wonder, putting a crack of light into our linear thought patterns, know it all boxed in approach or just plain arrogance and ignorance. Questions are the key to the release of the ego's stranglehold. So now that you have truly begun an open inquiry, the call is to start listening, smelling and seeing... not just with the five senses, but with your spiritual senses, your intuition, your third eye and your deep insight. It is time to engage with the world through your multi-sensory self and activate the parts of you that can apprehend the hidden, magical inner workings of your own soul and the universe. Let the physical world begin a new kind of conversation with you. It is far more alive and responsive than you may truly realize, bridging both the spiritual/metaphysical and the physical worlds. And when it begins to speak back to you, as you ask your questions, in ways that maybe only you can understand, you will be in awe of this living cosmos, as we realize that all things contain a spiritual essence. Soon after this type of communication is engaged, you may find yourself struggling with your thoughts and mental powers and wondering where "what you think" fits into this new mode and way of being. While there is no doubt that spiritual message can come through your mind and your thoughts, the practice of listening through all the spiritual senses relieves your mind of its former burden of being your sole informant (no pun intended). Your mind can now become in service to your soul, instead of the other way around. Prove it to yourself how beautiful it is to live as your soul. Let your soul come home. Give your soul, your spiritual senses, other intelligences and divine will a chance to inform your life. I allow my life to teach me how to love. 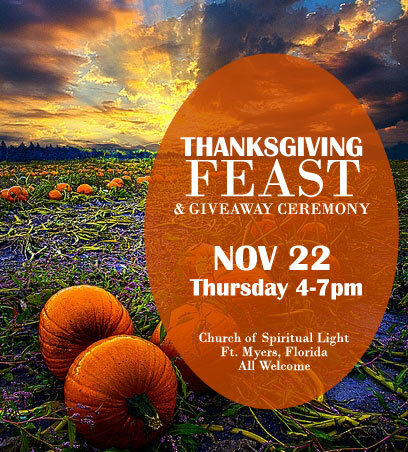 Church of Spiritual Light presents the 2012 Thanksgiving Feast and Giveaway Ceremony. Please bring your favorite holiday dish to share, as well as a small gift which will be given away to honor a very special sacred ancient ritual to show gratitude for our blessings. The gift can be anything that has meaning to you, including feathers, stones, figurines or sacred objects. In order to honor the energy it should be something that you love and not a cast off item. 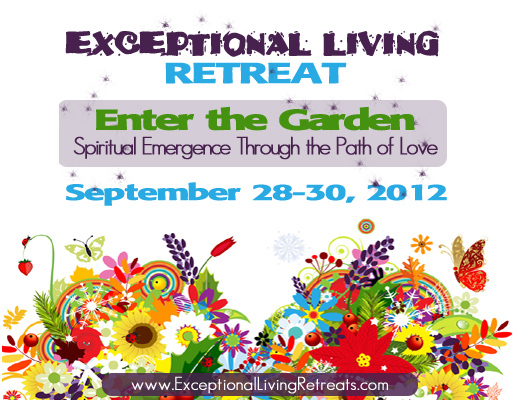 You are invited to a very special opportunity to receive healing, empowerment and heart opening! These evenings with Angaangaq will be an experience like no other. As he perceives your being, reads your energy and touches your soul, shifts will occur. If you allow it, patterns dissolve, emotions release, and an increase in vitality and well-being will be experienced. The powerful vibrations of his voice and Qilaut drum open spaces within us, inner strengths are rediscovered. The Universe is alive, filled with life force, Qi, Spirit or energy. The rhythm of life has a breath, just as we and all living creatures do. As we are opening and creating space which ‘attracts’ and fills our life with new creations, in other ways we find we are then closing or restricting the space, which releases or transforms things in our life that are coming to a close. The Universe and we are continually flowing, flexible and moving. The Tao Te Ching says: "Even the greatest storm eventually abates and peace and tranquility are returning." Notice that this doesn't say,"returns" which has an implication of finality to it. It says "returning" which recognizes and reconciles with the cyclical, circular nature of the Tao. Duality is transformed into the third thing, which is a direct result of the synergy of the two and in this way wholeness becomes realized as a living, dynamic creation. With this concept of being part of the whole, while always transforming you will see everything and everyone in you…. and vice versa, you will see yourself in everything and everyone! Nothing, or no one is set apart or ‘special’, any other thought or action is misaligned and goes directly against the understanding of the flow of Qi and Tao. The Cosmos does not discriminate or make things worse or better for one over another. It simply flows in balance and harmony. It is non-judgmental, bares no grudges and does not hold on to anything. It arrives and departs in its own time, just when and where it is needed. Knowing others is wisdom; Knowing the self is enlightment. Mastering others requires force; Mastering the self needs strength. He who knows he has enough is rich. Perseverance is a sign of will power. This concept of allowing can be extremely challenging to understand, trust and accept for the western mind. We have been conditioned to be pro-active, set goals and use ‘force’ and personal willpower to make things happen in the way we desire. We have manifested many things by force and many could argue that it had to be this way. But we may never know what we lost out on by forcing our will, or what price we have paid as our lives become out of balance. We may not even know what it is that we truly would like to create, because we do not know ourselves. We may not realize how we have misaligned with Qi, and gotten in our own way causing the very things we are trying to avoid such as loss, delays and failure. Yet, the Tao returns an equal opportunity at every turn to the art of allowing even in apparent 'error". The Tao is based in trust and allowing that the Cosmos/Universe will provide what is needed when it is needed. As we engage in this experience of manifestation, we find it to be a much more centered, joyful, richer, rewarding and collaborative creative process. As we enter this new age that holds such a tremendous potential for more peace, abundance and love than possibly at anytime in our human history, we realize on whole new levels the implications of the "journey being the destination". For as we open to the fullest experiences of this creation we find that we gravitate toward the fulfillment of our divinity through our oneness. 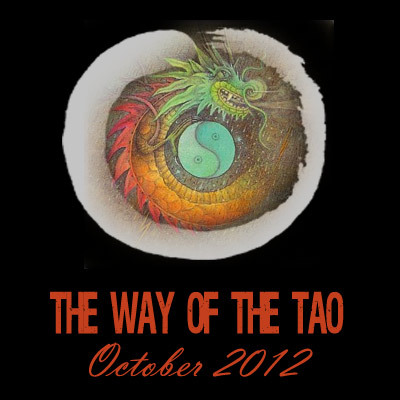 The wisdom of the Way of the Tao will become the standard for living a whole, healthy, happy life. I am one with all. I allow the third thing that is wanting expression to come alive. I see the perfection in all that is. I practice the art of allowing. I have all that I need in this moment. Each moment brings something new. I pay attention to the new that is constantly being born. I breathe life, as life breathes through me. Everything and everyone is a part of me. I am a part of everything and everyone. Peace and tranquility are always returning to me. I am at one with the present moment. I sit in stillness and experience the golden silence. I open my mind to the way of the Tao. I tap into the divine mind of the Tao to better understand myself and this creation. I embrace the death, rebirth and renewal of my life's journey. I experience new modes and ways of being through the beginner's mind. I am willing to learn, un-learn and re-learn. The way of the Tao is within me. The universe expresses through me. I am one with life. 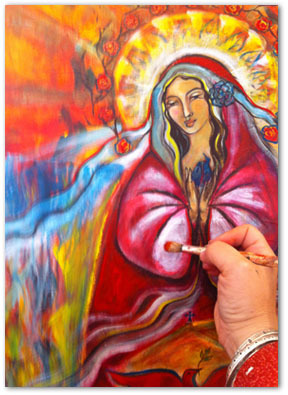 Join us to Unlock the Mystery of your Sacred Self and gain access to a life of empowerment. During this very intimate weekend retreat, we will explore the physical realm of security, desire and purpose to see where we are anchored in our world and where we are in a holding pattern. We will move from the outer to our inner world to see how we relate to ourselves, to others and to Spirit. These Sacred Relationships test us, support us and foster our growth, helping us to find our Voice and Life Purpose. We will see how the Holy Trinity of Divine Intelligence, Divine Love and Divine Presence unite in our energy fields as we learn to master each part of ourselves. We are coming online to a higher level of being, to a more fully actualized human. See how the beautiful Divine Plan and Organization of Energy of which you are made is the perfect vehicle for your enlightenment! Do you know the deeper, higher truth of who you are? Have you dared to acknowledge that there may be parts of yourself that you barely know or understand? Are you willing to allow yourself the leeway to grow, change and evolve? Do you have the courage to shine the light on your own inner being, as well as cosmic forces that are available to you? Do you ask and answer questions like these often? If you said, yes - Great! Self inquiry is an absolute necessity to begin to shine that light of yours from within. If you see the Light, in its most practical nature, as the Truth, then you understand that enlightenment is the means by which we reveal the truth to ourselves and to the world. Yet, enlightenment is about far more than simply being honest. True enlightenment strips away all the illusions about life itself, including people, places and things, parts of our own personality and belief systems and anything else at all that is keeping us from the truth of love. It inspires us to open to our soul and it allows us to see the light in everyone and everything. Many people try to shine a spotlight onto themselves from without, competing for attention and living in a perpetual state of lack, forgetting all about power versus force and the power of their true light. When you absolutely know who you are, what you have to offer to the world and the importance of anchoring your God self onto this planet, then you know it's not really that much about you shining at all. It's about you becoming in alignment with your radiant God Self, so that the unique aspects of this creation that you are resonant with, can find you and we can all be re-united with the Light. We are here now in a dance of shadow and light. This is a dance that we must come to enjoy. For even though we all know that the life giving light of the sun is what keeps our body and mind alive and well. It is under the cover of the night, and in the void of our own soul, where all possibility exists and the deep lake of our inner being, reflects the light of God and refracts it out into the world in a way that allows us to reveal, share and receive God's Love. This is the means by which the omnipotent forces of creation can experience itself in the material world, where we can play and have fun, creating our dreams and manifesting love without "blinding" each other with our Light. This is how we all come to shine our Light from within and live as one. I am guided by the Light. I meditate with the Light. As I shine the light and reflect on my life, I look for the love. I ask what would love do? My life is alive with the truth of my existence. I am evolving into the full realization and becoming my soul. My soul will set my spirit free. My light must come through the depths of my soul. The Light is in service to my soul. In the darkness of my soul, all things are possible and I choose according to the desires of my heart what I will create. I use reflection and contemplation to know myself. I allow others to shine, and bask in the gifts they freely give. I see the inner beauty of all those who surround me. I receive the gifts of life, through all the people, places and things on my journey. The Light destroys all illusions of love. The Light leads me to divine love. I am inspiring, when I am inspired. I live an illuminated life. I dance with shadow and light, understanding that this is how I am able to choose with my free will. It is within the darkness, that I find the true light within. I order to access the darkness, I turn toward my problems and issues, not away. I face the power of my own Light within and actively work with it to dispell illusion. 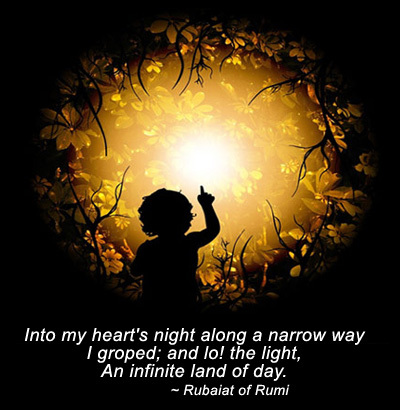 Once I see the Light, I have faith that my innate wisdom will guide me to the choices that will free my soul. As I free my mind, I free my body. As I free my heart, I free my soul. What I love inspired and enlightens the world. I shine my Light from within. God is being born on the planet right now. He is being born through She. He is an electrical, electrifying individuating force. He moves through us like lightning and fire. She is now strong enough to contain the voltage and amperage. She has magnetized and attracted Him. She is pregnant with herself, full of emptiness. She is you and me. shakti to others, and CPR to most. God and Goddess are becoming one. Connecting all to the Heart ring. He moves through the eye, the gap, the void of Her creation. to Shine and reveal itself to and through the Observable Universe. God and Goddess have re-united and we are one. Joy, peace, fulfillment, cooperation, collaboration, harmony, unity, purpose, passion, sacredness, connection, creativity, divinity, gratitude and love... these are the things in life that lie beneath the surface and drive the silent stream of our most basic and ancient longing. We think we want things, but what we really want is the freedom to experience our life with these intangibles of delight. So what if we were to focus our thoughts, desires and intentions on the creation of these truly soul-quenching delights.. on these things that cannot be bought? Do you think that being that intrinsically satisfied from our inner being, from our soul would have an effect on our earthly manifestations? Or do you still think that we have to, strictly speaking, Think to grow rich? Don't we need to feel, too? The Law of Attraction certainly does require that we feel and in fact it feeds off of our gratitude... the water that makes that garden grow is our very appreciation. But appreciation cannot be faked, and gratitude that is shamed out of us is probably most useful as an indicator of how disconnected from source that we are. True gratitude is an almost instantaneous, often overflowing feeling of appreciation and a deep laying in of knowledge of our blessedness. So how do we open ourselves up to more gratefulness and deeper appreciation? We open our eyes to the joys of the "free stuff"... like air for instance. Air has much to teach about both freedom and creation. The power of the breath is unparalleled. It is the divine primordial template for abundance. We breathe in, receiving life sustaining oxygen and spirit/prana or chi, as some call it... then we breathe out, releasing the by product of what no longer serves us out into the earth's atmosphere which converts it to another form of energy. So the key is in receiving, what is freely available to us. That is the building block of all creation. We often, however, forget about how important the out breath is to the whole manifestation process. The Secret didn't really let us in on the other secret, that you often will need to make room and let go of things once you start asking for other things. The universe will only let us hoard for so long. Then just like any other bottleneck of energy, its time will come for release... one way or another. If you want to paint your room red, you're going to have give up those white walls. It is important to note that surrendering to delight can often be fraught with peril, because our innocence of this process can keep us from being grateful for the removal of what is blocking us from our deeper desire. For example if you wanted more joy or more peace something curious might happen... you might get a good dose of just the opposite. Why do think that might be? That's easy. So you can notice it, see the source and do something about it! That's why! For heaven sakes, the universe is a magical manifestation machine, not a miracle worker. You and your inner magician are the miracle worker! The universe is your echo chamber, your playground to build your world, your canvas to create love, your laboratory to invent more realizations of beauty, more ways to connect, to share, to grow, your theater to sing, dance and play... to use your immense power from our creator wisely and maybe even a bit wildly. It's time to dream and manifest your state of being, even more so than your state of having or doing, for it is from the soulspace of your being that you can create your world even beyond what you can now imagine. It's time to activate your best and highest ideals of your Self by allowing the soulful desires of your heart to bring you to the place of absolute delight in your life. I am free to make mistakes. I give myself permission to re-enter the garden. I choose life and I honor that choice. 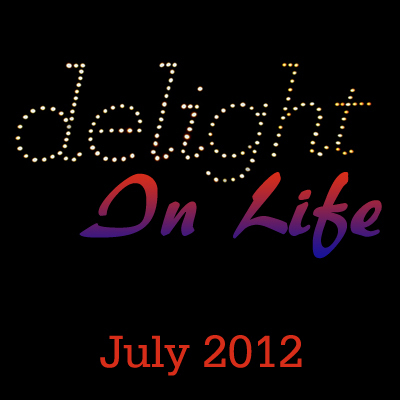 I take great delight in my Life. 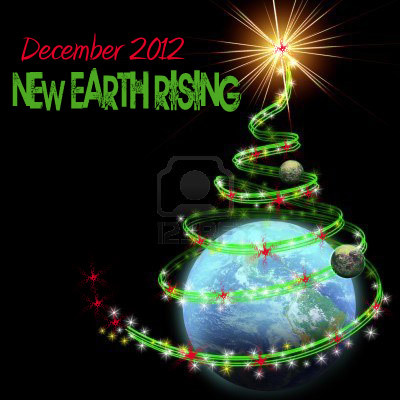 There probably aren't too many people who haven't at least heard the term "new earth". But many are unsure of what it might mean. People have lots of questions about it, with reactions spanning from excitedly looking forward to a more positive way of life, to fear and anxiety over the deconstruction of broken, outdated systems that are no longer working and everything in between. Others wonder if they should buy into the doomsday and end times prophecies and speculate as to the survivability of humanity, let alone hold out hope for a new earth. Yet if we pay attention, even the most grounded of us can notice a shift that is happening in many subtle and some not so subtle ways. The new earth is mostly about a shift in consciousness. With more and more people on the planet who understand the power of their thoughts, feelings, beliefs and intentions, there has never been a greater ability to focus and create in the history of the world. Furthermore, not only can the individual wield the power of the mind, we have the ability to galvanize and unify hundreds, thousands and even millions of people in what often can be virtually an instant. As information goes viral, change can take place very rapidly and with immense amounts of support. Even mainstream media is picking up on topics that they once shunned.... from shows about mediums and ghost hunters, to the Dog Whisperer and Super Nanny who respectively work with the energy of not just the dogs and the kids, but the people whom they belong to. And let's not forget Oprah's new focus on the world of inspiration, with shows like Super Soul Sunday featuring some of the most popular metaphysical, spiritual and motivational teachers of our time. In the new earth paradigm we are no longer anonymous, we are present and accountable. We no longer isolate and suffer in silence, we reach out and connect to gain and gather experience, strength and hope. Our work is no longer solely focused upon making money, but on doing good in the world, bringing joy, healing and empowerment to others and trusting that the money will follow. The new earth is about absolute abundance and the release of poverty consciousness. As our notion of abundance is shifting, we no longer measure our wealth in dollars and sense alone, but in the intangibles of life, such as the fulfillment of our purpose, the quality of our relationships, natural resources, spiritual connection, personal and planetary peace, joy and love. It's definitely not business as usual. The new earth is something that is simultaneously happening to us and through us. As geographical communities become tighter and more tribal, we will be creating a sacred and stable foundation for each individual to find their own domain. Everyone is the leader of something and technology has now made it accessible and possible for anyone to access the interconnected web of souls and find their place in the global community. We no longer have to choose between local or global... we now have to learn to dance with it all and discern what is right for our soul's ultimate expression. The new earth supports the soul and it could be said that the new earth is the emergence of the soul of the world. These are exciting and promising times that we live in. We've come a very long way and we've been given much. But to whom much is given, much is required. We are at a very delicate time in human history. Time is condensing and our ability to communicate and connect is escalating that effect. It's time now to take our technology and use it to save the earth and free ourselves from the limitations of the past. As we become increasingly more socially and soul conscious, we become connected to our own conscience and expand ourselves into the new earth energies of compassion and true love. It is in this way that we come into communion with all that is and experience the synergy of our individuality as part of a greater whole. And the result of this is heaven on earth. It's already here for many of us. After all if we are the ones we've been waiting for, why wait? I am connected to every living thing through the divine matrix of the earth's grid. I meditate out in nature. I consciously connect to the earth's energies. I access higher consciousness by becoming the tracker in my life. I open to learning new modes and ways of being. I experience oneness with all nature. I commune with the earth and receive her messengers. Spiritual messages are only awaiting my awareness to be revealed. As I become more sensitive to the unseen world, I receive new high and vital energy and information. The elementals of earth, air, fire and water and spirit are within me. It is through meditation and other peaceful activities that I enter the fifth dimension. The fifth dimension is accessed through my conscious contact with the place of no time and no space. With practice, I can enter fifth dimensional consciousness at will and ultimately integrate it into my everyday experience. The more enlightened I become, the more love I see all around me. My mind is in service to my soul. My soul is connected to the oversoul of the world. I live with peace and purpose. I am centered in my heart. I live life on purpose. I allow my limitless self to emerge. I enter the boundless state of my being at will. I am a limitless being of light. I am supplied with all things needful both spiritual and material by opening to receive the earth's bounty. I call upon the power of the medicine wheel to bring me to wholeness and integration. I am ready now to fully integrate my higher self to sustain higher consciousness. As I become more aware and connected to my conscience, I feel the oneness of the all. I open to the power of tribal community. I remove all masks and allow my authentic self to be revealed. I take responsibility for my own life and for bringing more life force onto the planet. I give my soul weight in my life. I have deep gratitude for the blessings of the earth and appreciate all that is available to me. I live my life in wholeness and fulfill my human potential. I open myself to greater awareness of New Earth energies and do my part to bring heaven to earth. You are cordially invited to the Sai Maa Pure Light (Diksha) Initiation Ceremony on May 20th, Sunday afternoon 3-5pm at Church of Spiritual Light, 1939 Park Meadows Dr, Fort Myers, FL 33907. There is no cost for this ceremony, however, we are requesting a $20 fee to cover expenses. The ceremony will be conducted by Rev. Renee Bledsoe. After the initiation you will be a part of the spritual lineage of Sai Ma and able to both give and receive the Pure Light Sai Maa Diksha Blessing. The Sanskrit word Diksha comes from the root da, to give plus ksi, to destroy and therefore is the process that bestows transcendental, spiritual knowledge while at the same time destroying the seeds of ignorance. Many Great Masters have offered Diksha in many different forms however, Sai Maa Lakshmi Devi has brought us a simple, systematic approach that can be easily learned and offered by everyone. We call this Sai Maa Diksha. We are entering a remarkable time for the world, unlike any other in recorded history. There is a Great Shift, a universal transformation taking place that will propel humankind from doubt and confusion, into a Golden Age of Joy, Peace and Understanding. Powerful new energies are being generated and radiated throughout the world. Great blessings are being showered upon us. Sai Maa tells us that the most effective tool to take full advantage of these Divine Gifts is the practice of giving and receiving Sai Maa Diksha. This Pure Energy and Light begins a process of dynamic change, activating our dormant spiritual powers, releasing all that no longer serves us, opening the path to Enlightenment. In an unprecedented gesture of generosity, Sai Maa is freely offering this magnificent gift to the world. If you are ready to bring Sai Maa Diksha to our friends and family, ready to train others and to be an active participant in the Great Shift, the following information is available to support you. 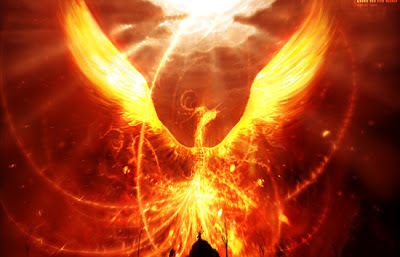 This Pure Energy and Light begins a process of dynamic change, activating our dormant spiritual powers, releasing all that no longer serves us, opening the path to Enlightenment. Different spiritual lineages offer different intentions with their Diksha. Sai Maa Diksha is the initiation of bliss; bliss being an aspect of Enlightenment. In the springtime we experience what can be thought of as the "first harvest", with the second often more widely recognized harvest in the fall. If we were to apply the cycles of the seasons to the cycles of our lives, we would gain a great deal of insight about how to recognize the opportunities that are available to us and work more effectively with the energies of the times. For example, understanding the subtleties of the first harvest has important implications which are important to the development of our soul. For the first harvest relates directly to the emergence of the soul, because it involves the restoration of beauty and bounty to the earth; blossoming of flowers, new life, growth and greening. Love is literally in the air! It might be helpful to think of the things that we experience in the springtime as being the work of the soul, and to take that a step further, understand that what is nurtured and harvested at this time, will have an effect on the quality of the denser second harvest of the fall. This is not necessarily about rigidly living by the seasons, but by understanding that these patterns which are revealed through nature are showing us something about manifestation and creation cycles and patterns, that are real and applicable to our lives in many areas, from relationships to businesses. The soul feeds upon inspiration and life force. It requires beauty and vitality to create something new and treasured from its depths. Exposing ourselves to and experiencing beauty is not an option, but just as nurturing to our being as eating and drinking. The flowers, foliage and insects of the first harvest are literally what give rise to the second, typically food crops which nourish our bodies. It is interesting to see the interplay of the two and how they are connected, with certainly one no less important, than the other. For surely if the body is weak and hungry, the soul has no vehicle, and if the soul is weak and hungry, the spirit and ultimately the body will wither. 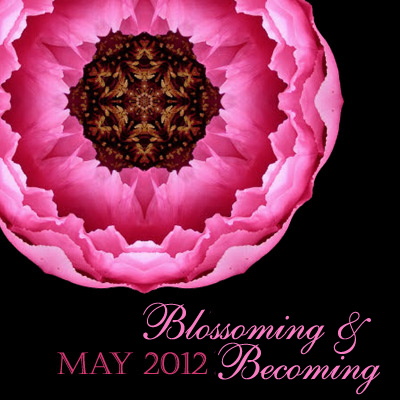 The month of May, with its focus on mothering, flowering, nurturing and blossoming is a reminder to us all to give the joys and the artistry of the soul more weight in our lives. It reminds us that the work of the soul is anything but frivolous, for without it, we might be able to squeak by and survive for a while, but the reality is that we must allow our souls to open and bloom if we want to actually grow and thrive! I am open to the expansion of my being. My unique perspective and insight reveals my soul's purpose. I allow my soul's purpose to emerge into the light. I bloom and blossom as I focus upon my heart's desires. As I find my place within my community, others can then find their place more easily. When I work as a team, I am invoking the power of the divine feminine. The soul's work is equally as important as any other work that I do. I give the expression of my soul weight in my life. I pay attention to all the aspects of my being. I let love flow through my creations. I create myself with intentions from my soul. I contemplate and reflect upon my heart's desires. I use my powers of manifestation for abundance of love, peace, purpose and joy. I use the power of intention to create a beautiful life. I work with Light to fill the darkness and reveal the truth of my life. My life is my masterpiece and I live my joy. Love is at the foundation of my every thought, word and deed. I am loved and loving to myself and others. I allow the petals of my consciousness to lovingly expand to the light. I nurture and nourish my body, mind, heart, soul and spirit. I call upon omnipotent forces for assistance with my life, including angels, guides, guardians and my higher power. I trust the omnipotent forces that I call upon. I reach deep into my soul, for I have purified my heart and reclaimed my inner child. I set my inner child free to grow and mature into a loving,healthy, creative adult. I am devoted to helping others to express their soul. I honor the spirit of all things. I recognize my darkness, lovingly turn it into the light and look to the sun. I open my heart to the world, by revealing my soul creations. I receive the abundance of my soul. I trust my soul and free myself to express my true self. It is safe to be me because I surround myself with those who nurture and support me. Others nurture and support me, because I nurture and support myself. When I help myself, helpful people are drawn to me and want to do the same. If I allow others to be served by my soul's purpose, I will attract others who are awakening to their soul purpose. I receive the bounty of the earth and the beauty of my soul. My wisdom is important to the world. Have you ever noticed that the same people show up in your life over and over again? They just have a different name or a different face, but their actions and behaviors are the same. Well, if so have a look at the following questionnaire and if you have answered yes to more than half of these questions, then this class: Attracted to ADDICTS? is for you. It will give you the tools you need to begin today to understand why you have attracted the same people over and over again and make the necessary changes to attract people who are in alignment with your souls purpose. 1 His/her mood swings can be sudden and frightening. 2 S/he seems to have no moral boundaries. 3 S/he can lie without blinking and continue to lie indefinitely. 4 His/her attitude is that the rules do not apply to him/her. 5 S/he habitually blames others for his/her circumstances. 6 S/he promises to ‘never do it again’ whatever ‘it’ may be. 7 S/he hides or minimizes the extent of use of any alcohol or drugs. 8 S/he does almost everything - from sports to food- to an extreme. 9 S/he can justify almost any behavior and convince you of it. 10 S/he has a difficult time being intimate or discussing intimacy. 1 You feel guilty or ashamed because you have ‘found’ another addict. 2 You wonder how you ended up in this situation once again. 3 You find yourself being more angry than usual. 4 You have allowed the addict to change the direction of your life. 5 You often feel as though you must walk on eggshells around him/ her. 6 You are beginning to feel as though you are losing your mind. 7 You drink more than usual when you are with him/her. 8 You find it hard to believe that s/he is lying to you again. 10 You worry about what others will think if you leave this relationship. Join us for this weekly group and take a journey into the heart of relationship recovery with author and recovery advocate, Trina Hayes. 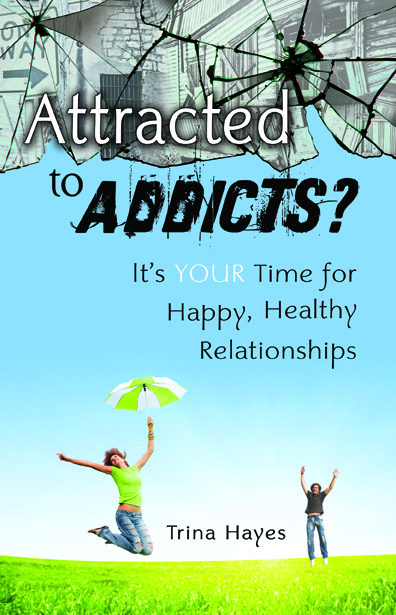 Trina has authored a book called, Attracted To Addicts, along with a companion journal, which will be used for this class. she comes to meet them. Dedicate myself to the Goddess Sophia and asking her help in letting my past negative self go. North - I call upon the earth, Gaia, to surround me with loving energy and to assist me in dispelling negative energy in my life. East - I call upon the air, to blow into my life and sweep away the negativity. South - I call upon the fire to burn away the negative and cleanse my life. West - I call upon the water to send waves of positivity into my life and take back the negative. I now ask Sophia to come into my life and show me the way. I ask her to cleanse me and remove any negativity in my life. Please lead me on the path I need to be on to establish myself as a happy, healthy, positive person. and of Nature and Spirit. as a child in its mother's womb. gathers all of her children. "Sophia, replace the negative thoughts with positive." the lips: "Sophia, replace the negative words with positive." the heart: "Sophia, replace the negative feelings with positive." the palms: "Sophia, replace the negative actions with positive." the feet: "Sophia, take me only on the path you lead me." I thank Sophia for coming into my life, my heart, my soul. For leading me on the right path and bringing me to a more positive place in my life. East - I thank the air for your blessings. South - I thank the fire for your blessings. West - I thank the water for your blessings. North - I thank the earth, Gaia, for your blessings.